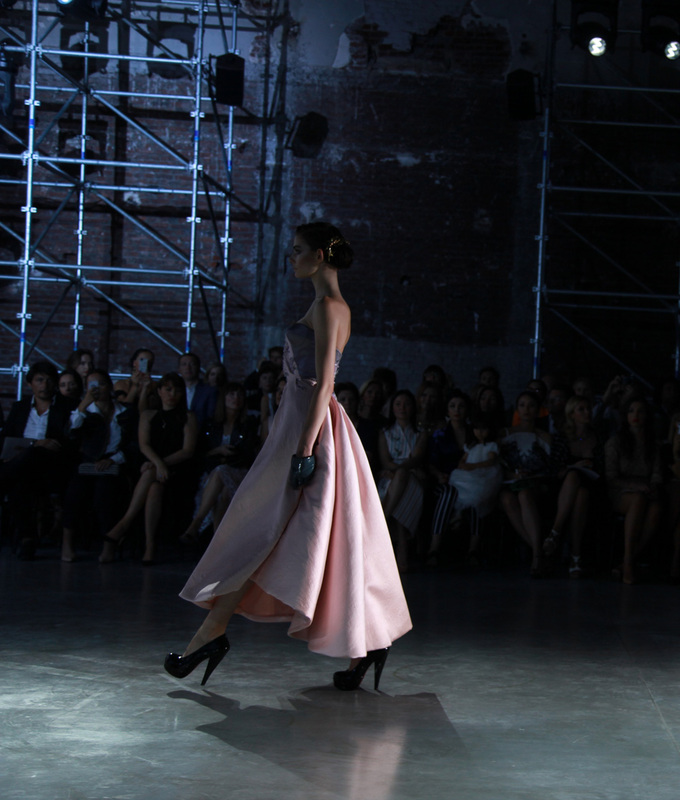 Ulyana Sergeenko is in some way a reflection of her creations, Elegant, graceful and unique, I have had the opportunity to go to two of her shows and I have to say they have been really nice, even nicer than some of the major houses. 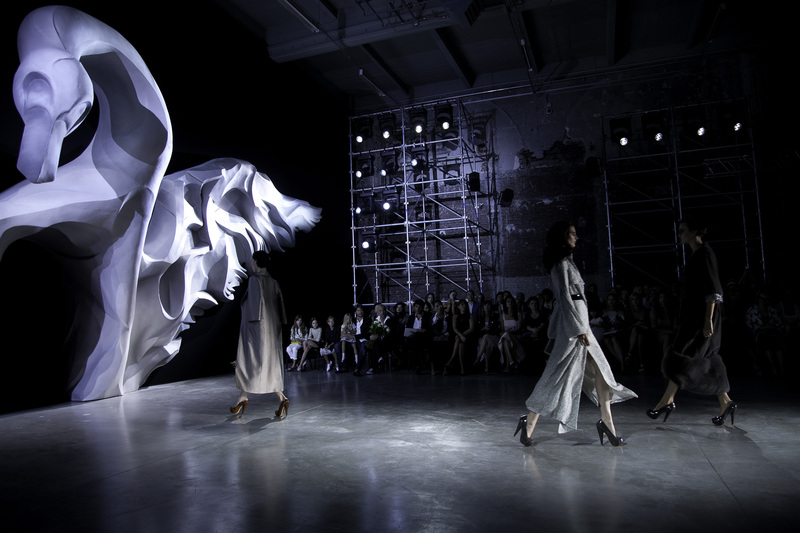 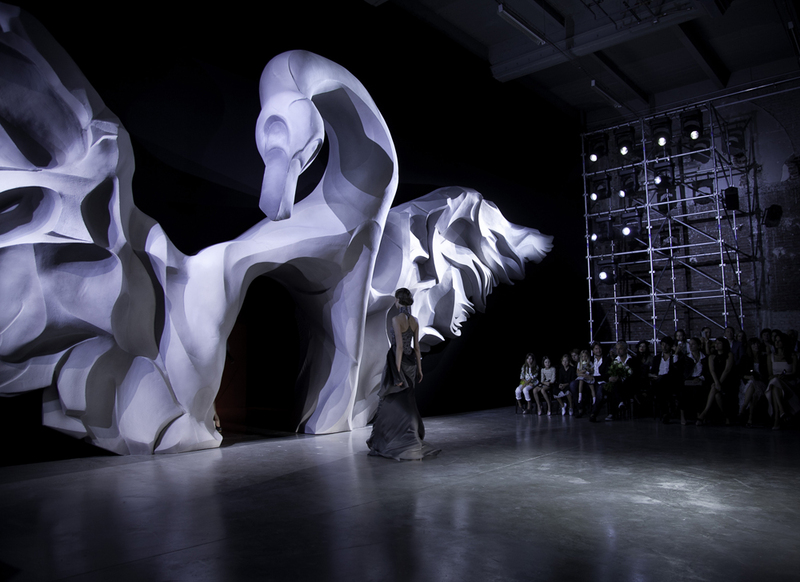 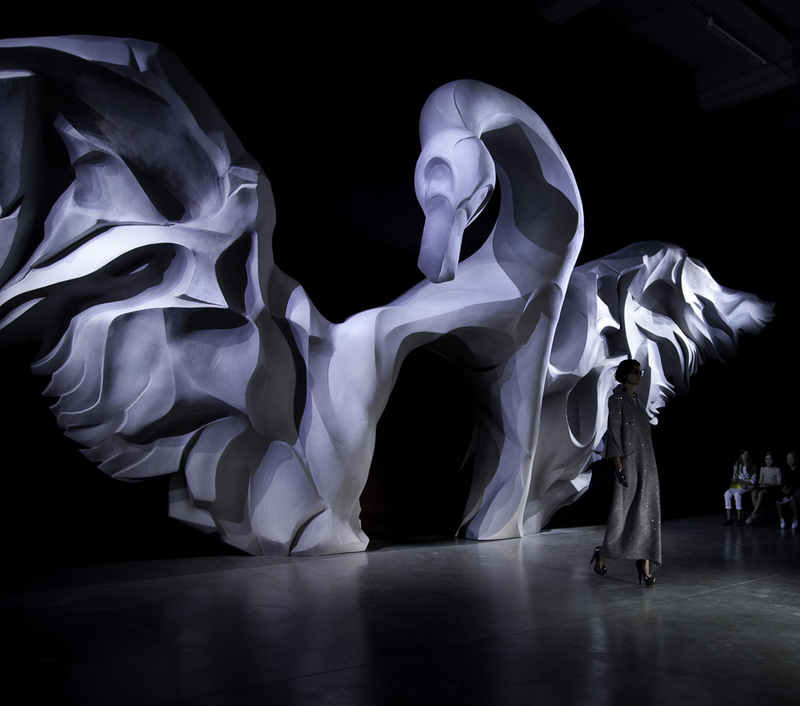 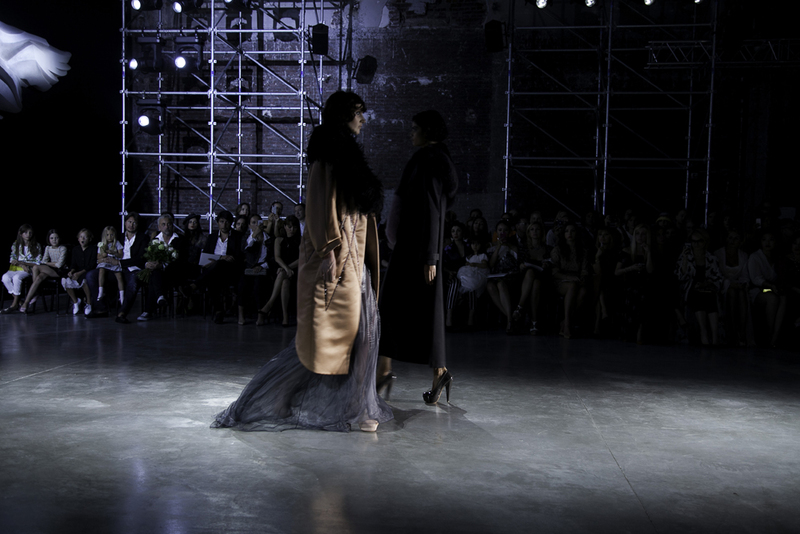 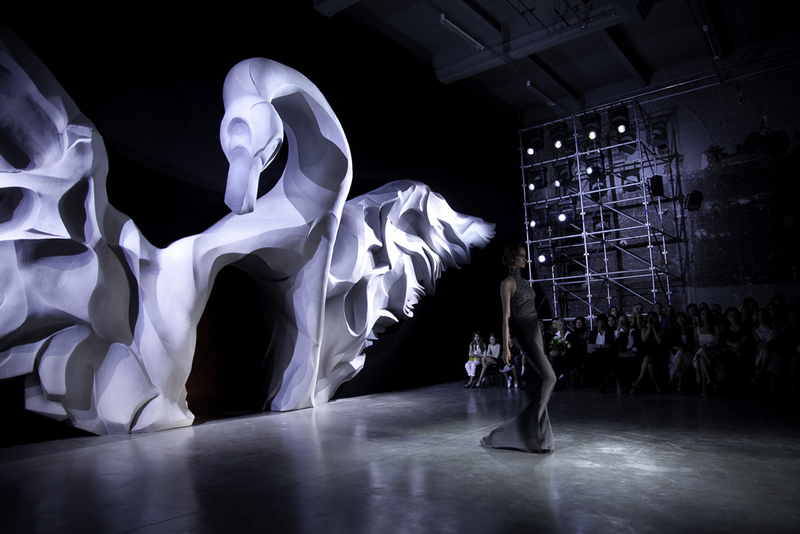 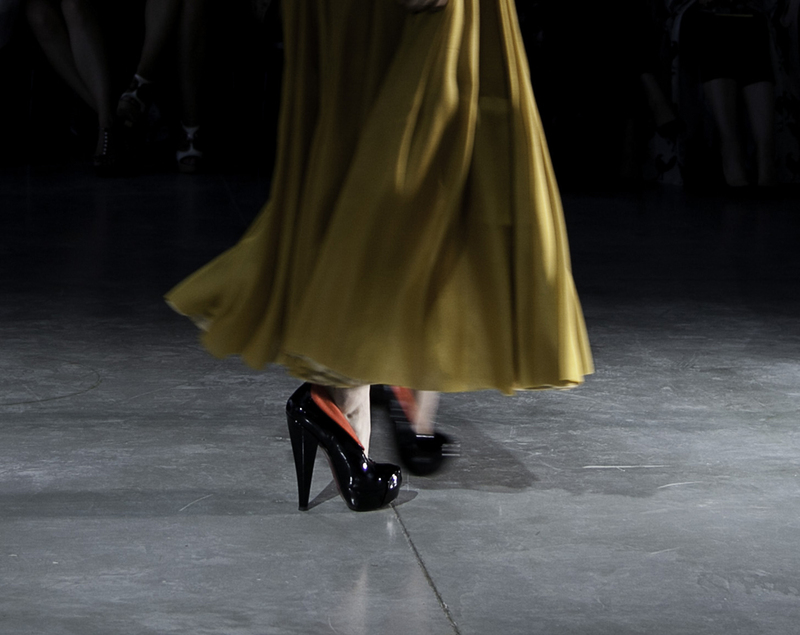 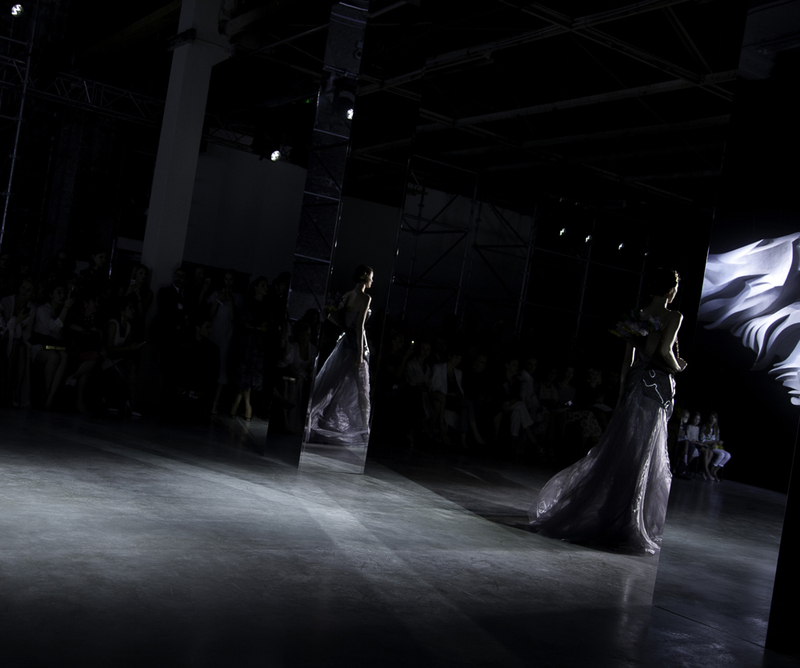 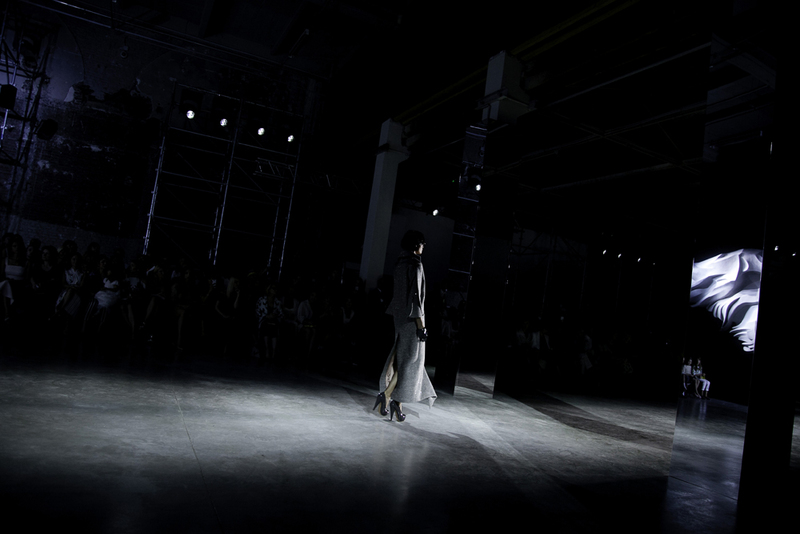 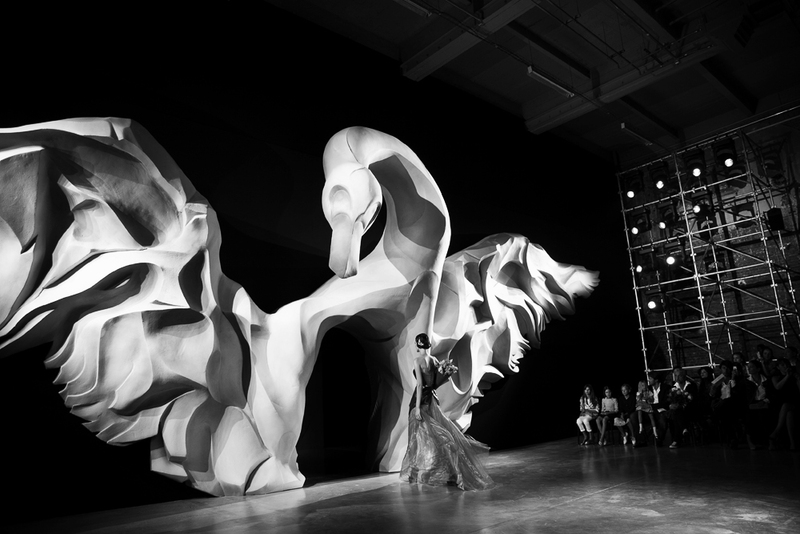 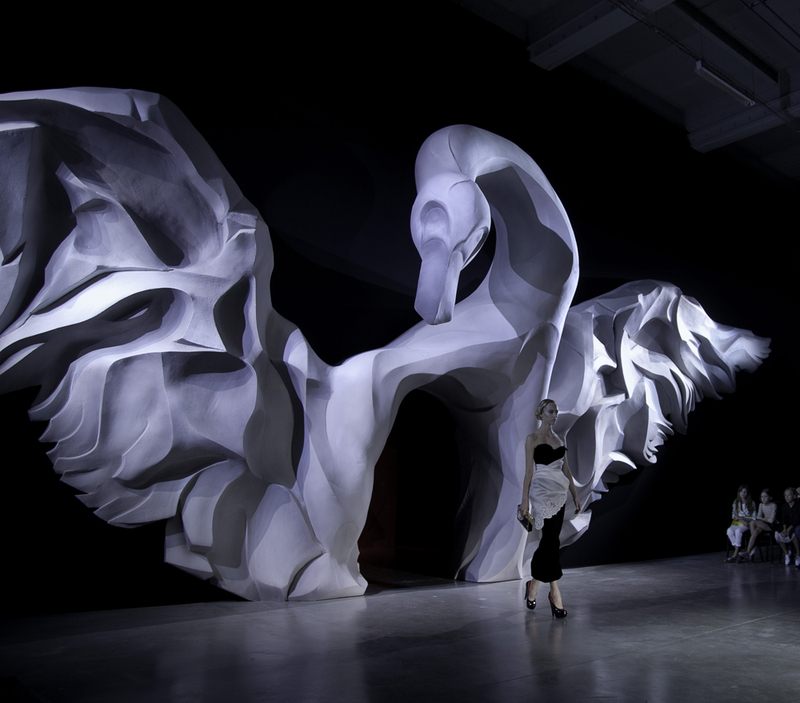 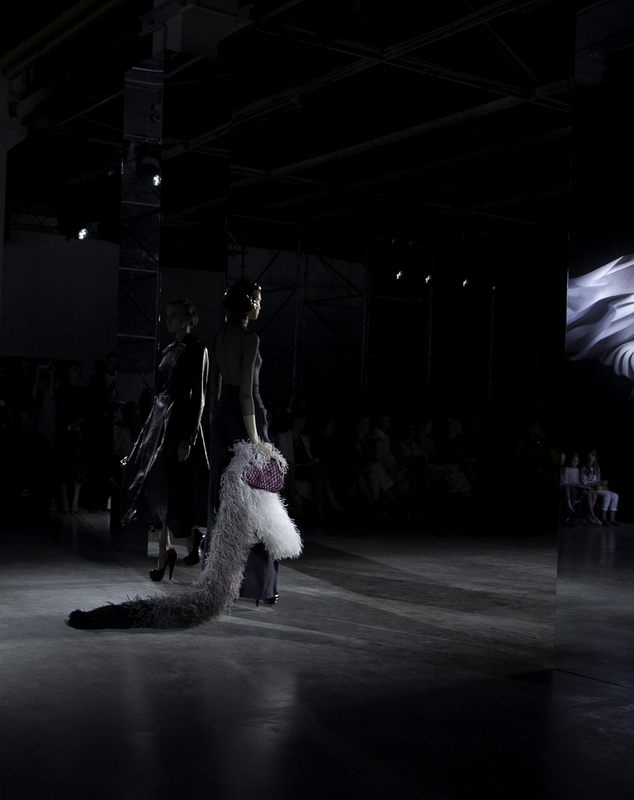 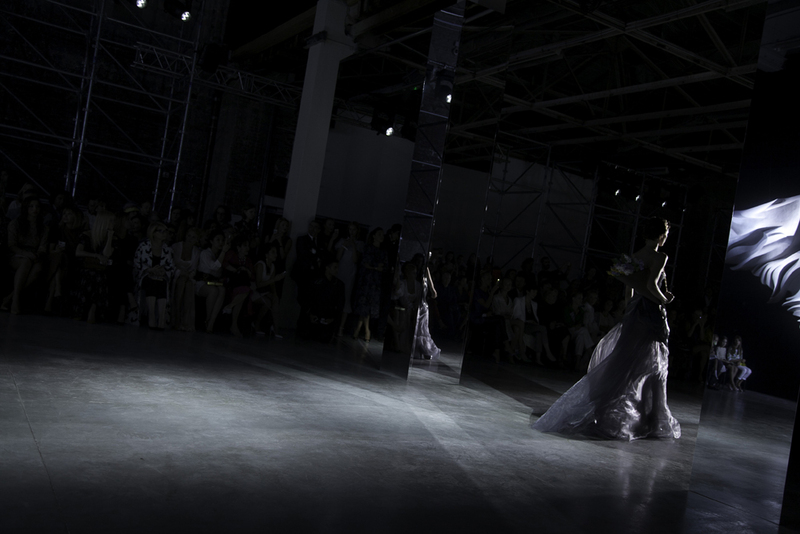 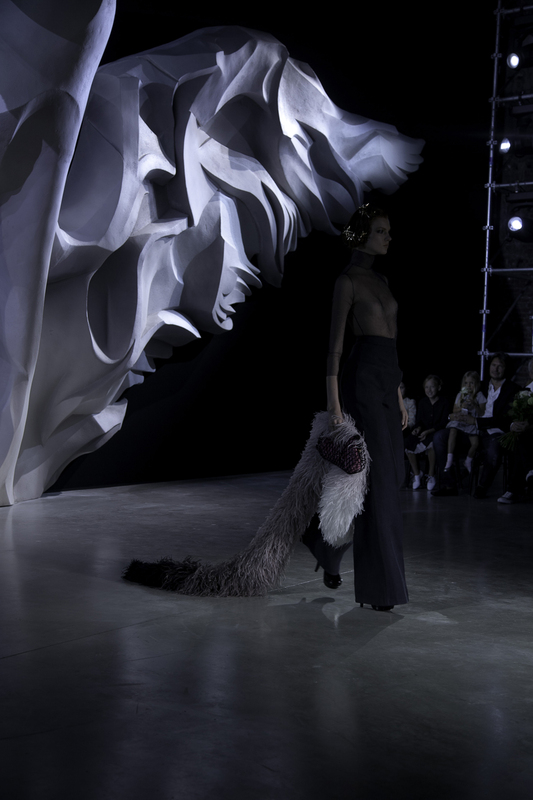 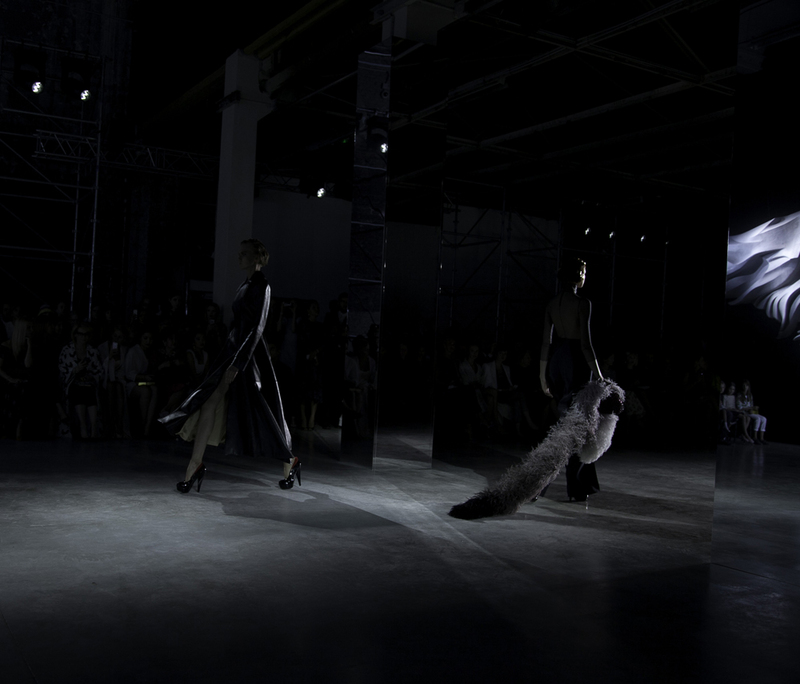 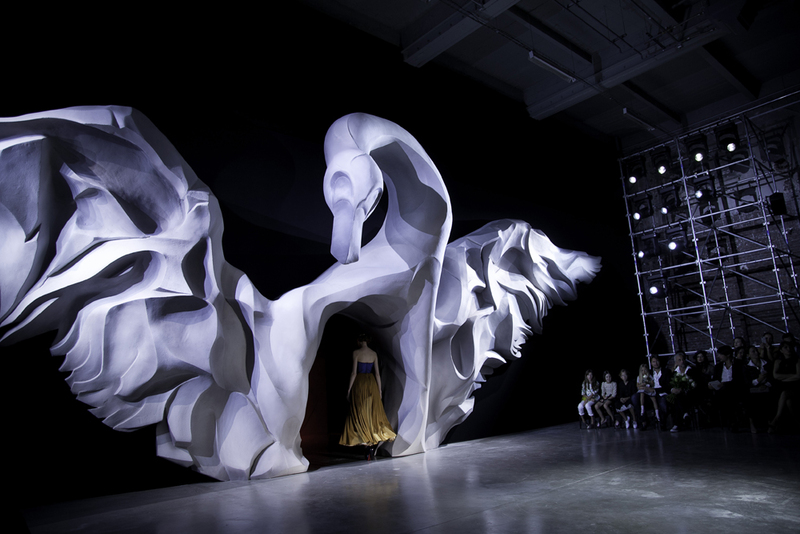 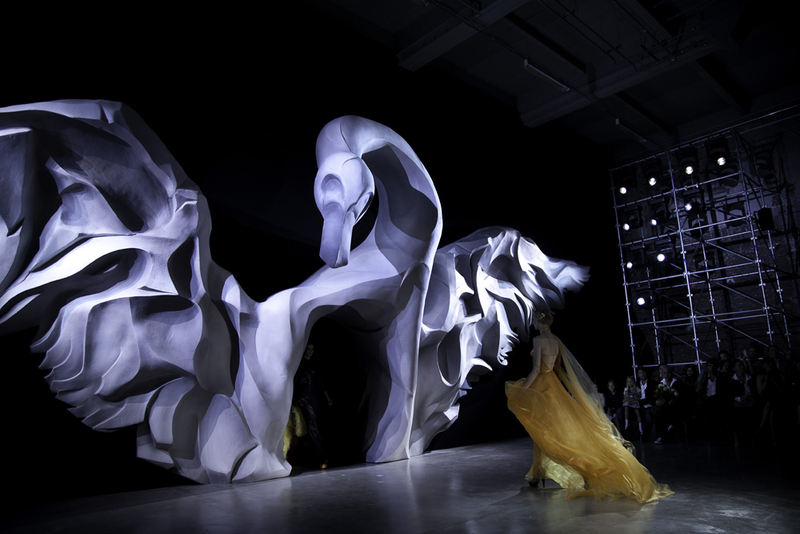 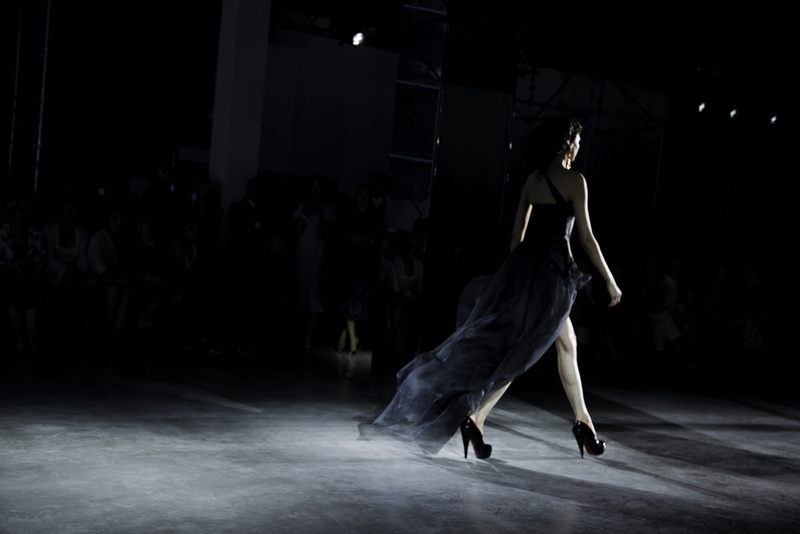 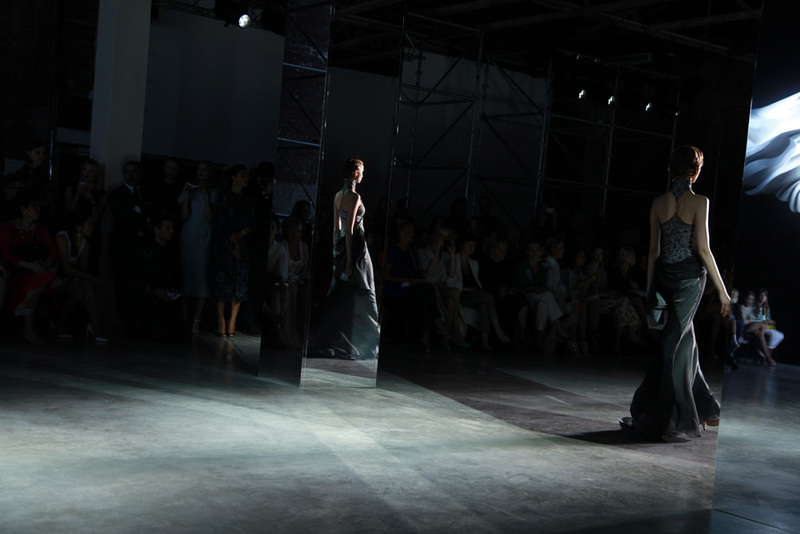 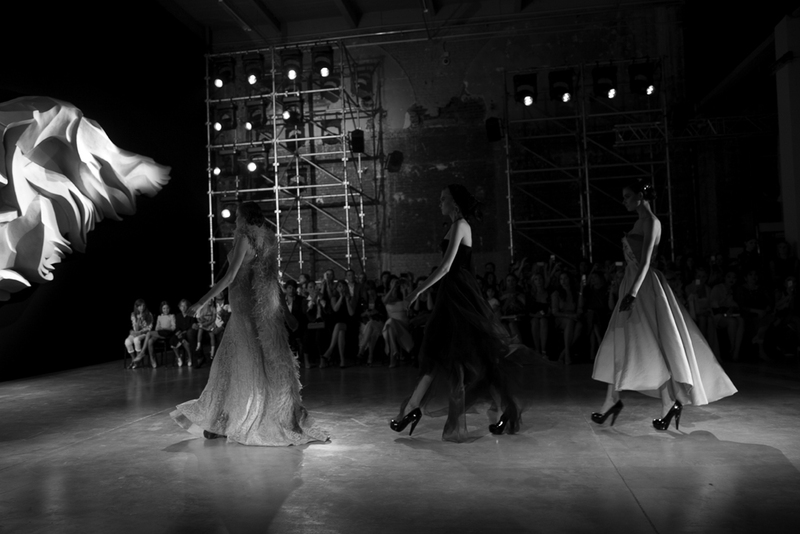 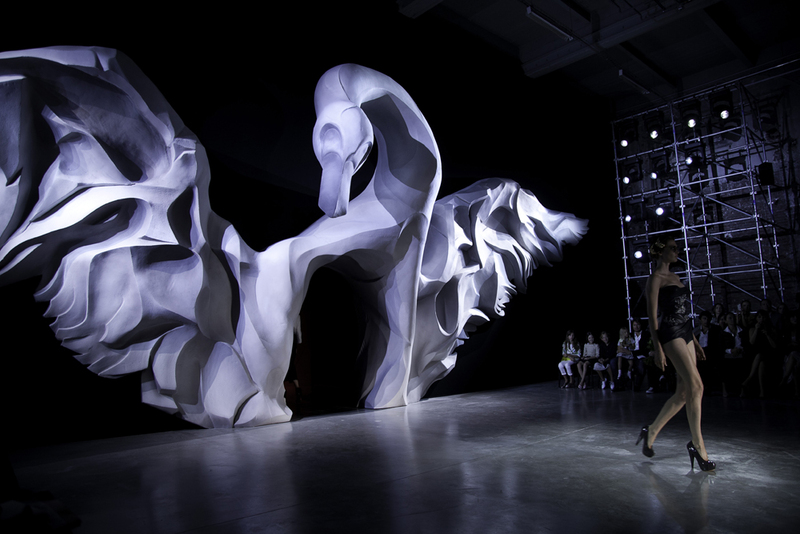 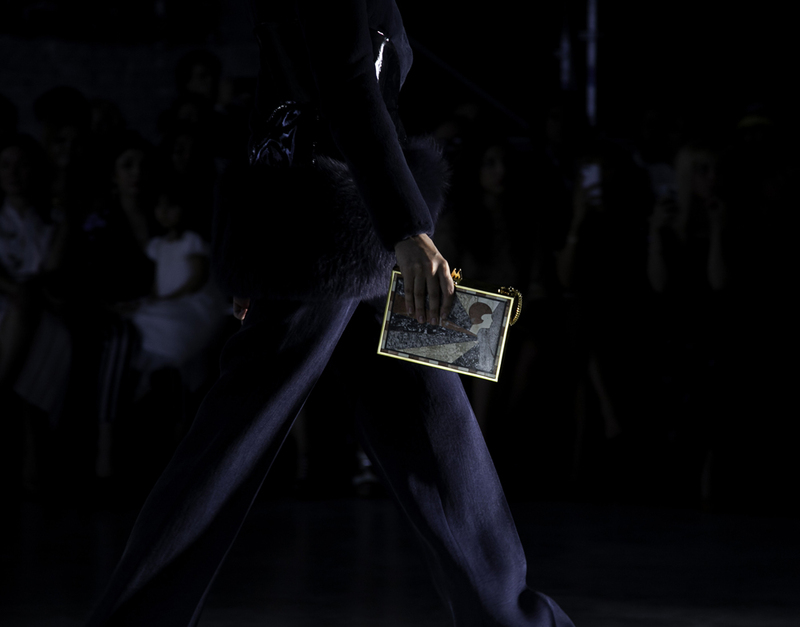 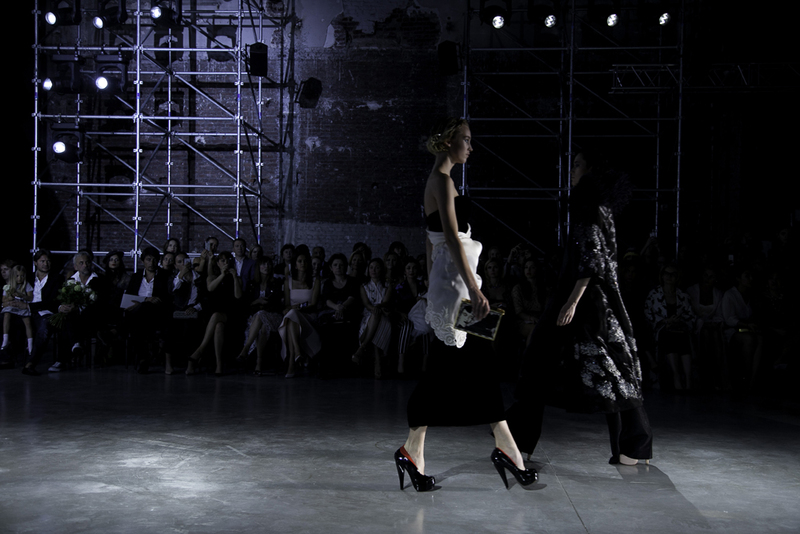 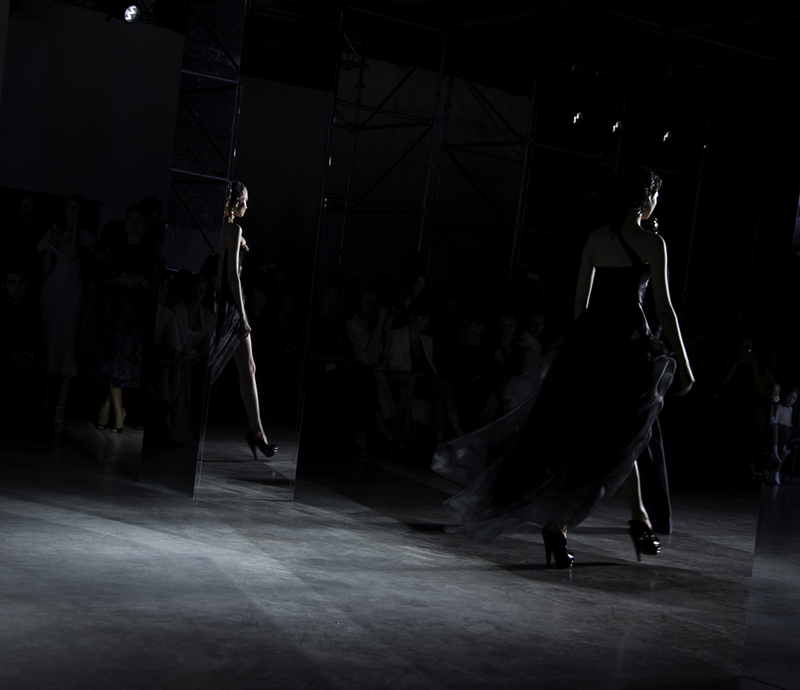 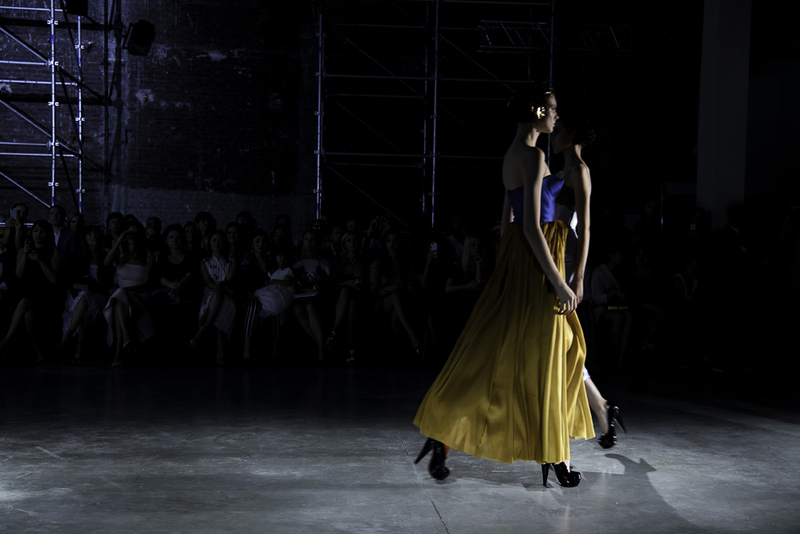 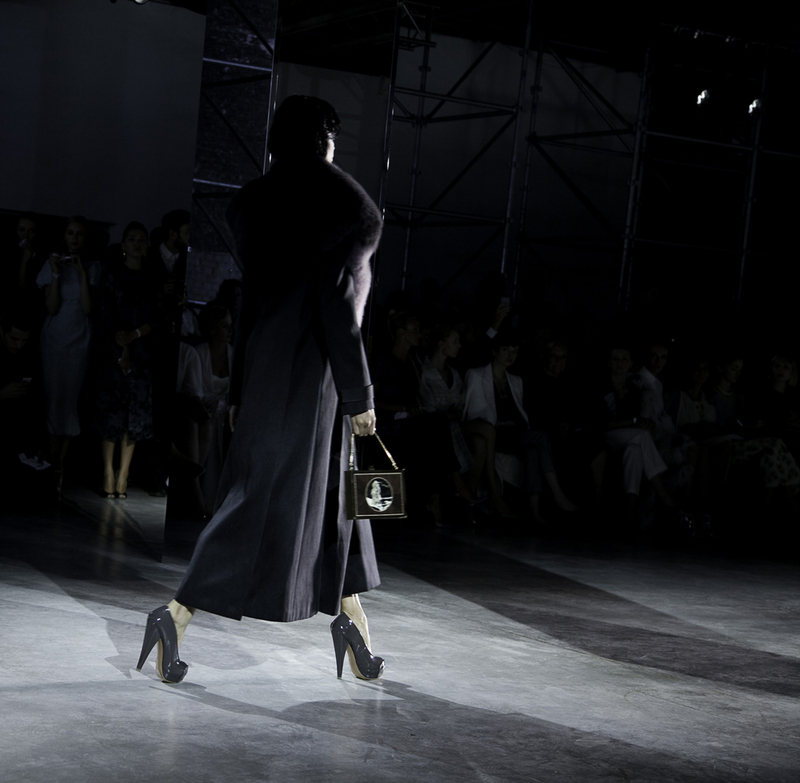 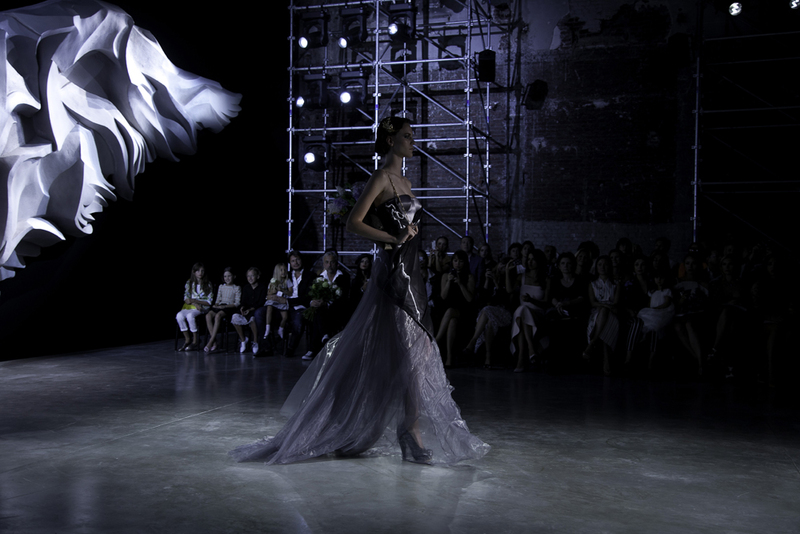 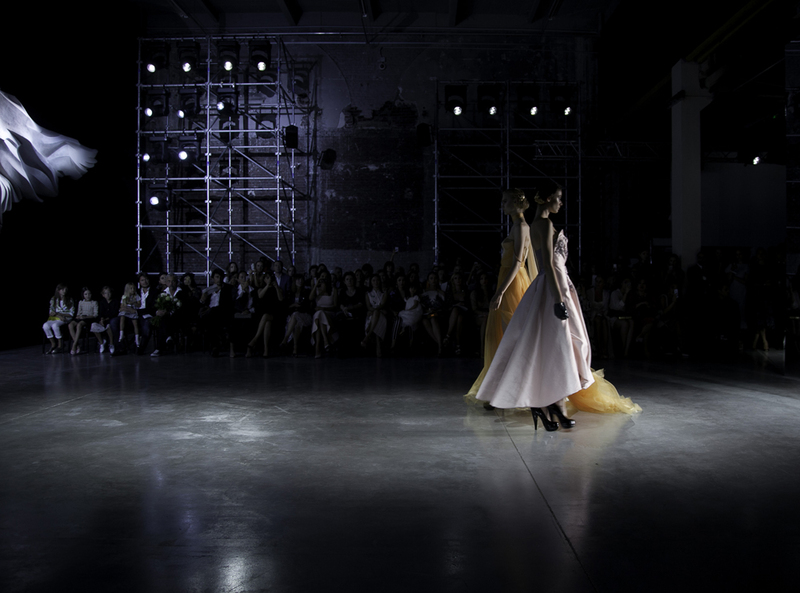 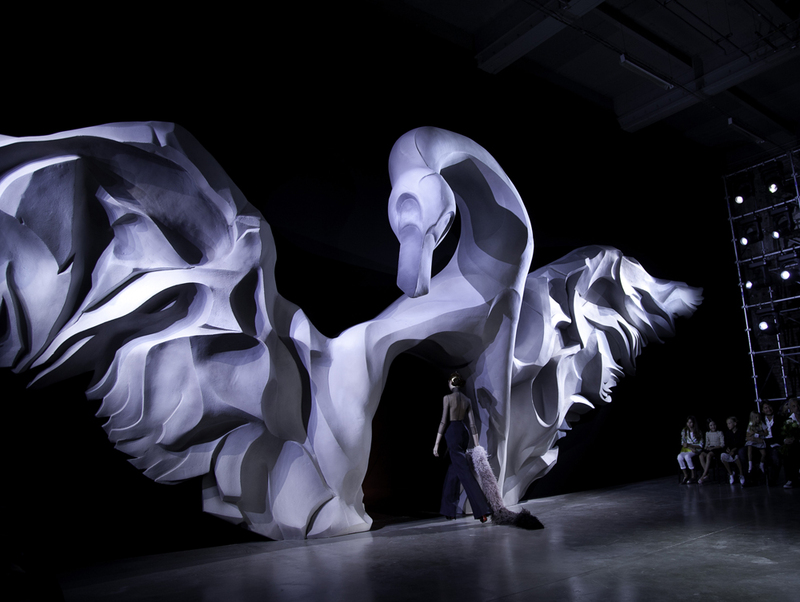 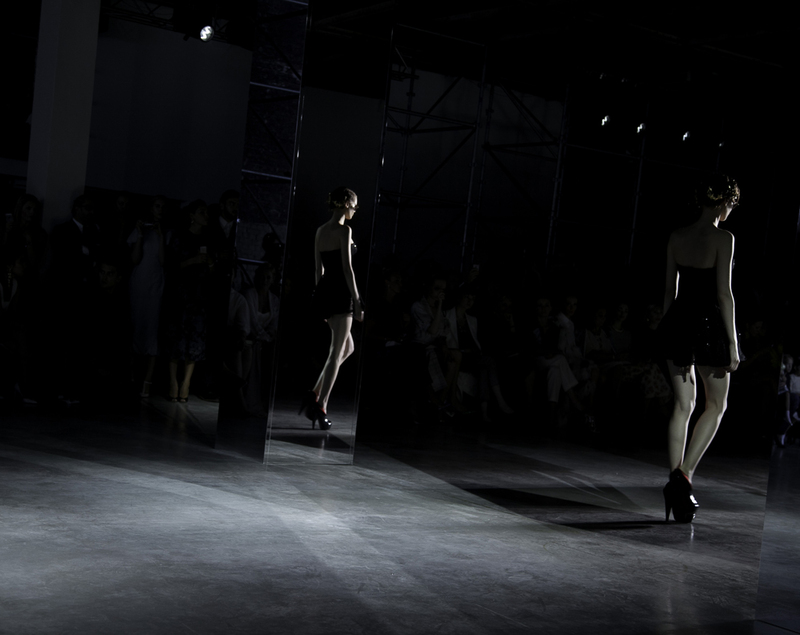 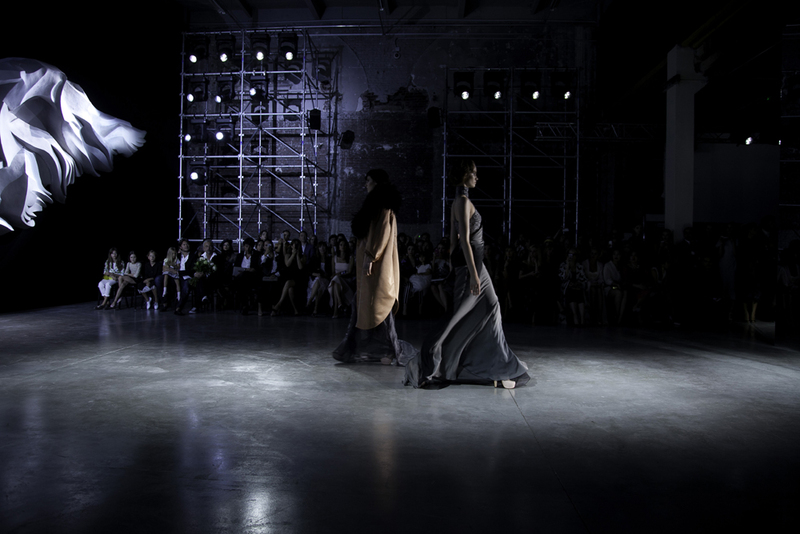 Her shows in a simple way have something extraordinary, last July the models came out of a giant swan sculpture in the middle of a cold concrete room, making a true contrast of darkness and light. 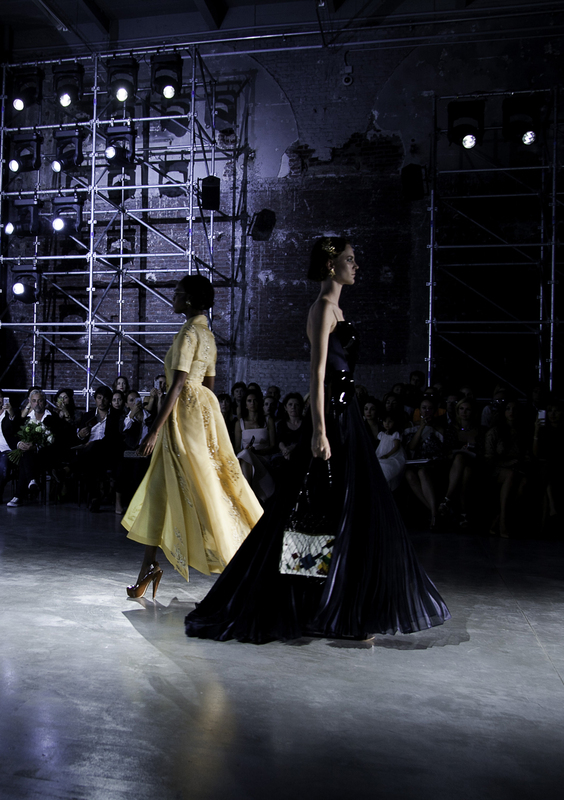 Collection wise it was very nice a mix of the future with classic beauty, I loved almost every dress and yes the bags are like nice pieces of jewelry of La Belle Epoque. 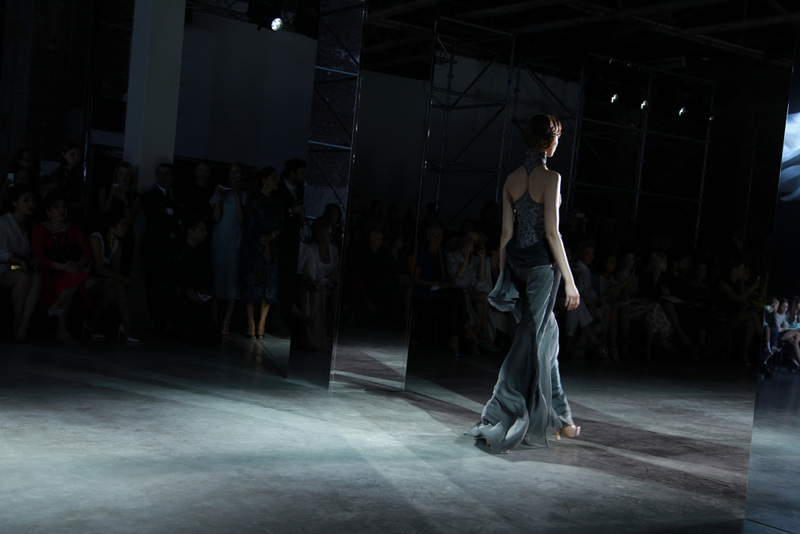 My favorite thing, catching the reflection of the models in the mirror :).